Today, a rapidly changing economy and the demand for skilled workers with hands-on training have created the same need—except horseshoe making has been replaced by diesel technology. The photos from 100 years ago show the latest in technology for the early 1900s: wooden drafting boards, treadle sewing machines and manufacturing environments far from today’s automated and efficient manufacturing operations. Through the decades, College programs and facilities kept pace with jobs, employment needs and changing technology—sound familiar? When the current District was formed in the late 1960s and the Appleton Campus was built in the early 1970s, who could imagine that one day we would use robotic “patients” that realistically simulate human response to medical treatment in our health care programs? Likely there were few who forecasted the growing need for technical training for fire, police and emergency workers (nor the complex nature of today’s criminal behavior or emergencies). Who imagined then that trucking would move our products to market at the volume we see today, causing the demand for drivers and technicians to skyrocket? When I talk about the past century, it will be with an eye to the future. The facilities plan we have proposed provides for the technology and training that will prepare this region’s workers into the early years of our next century of service. The plan calls for significant expansion in public safety training facilities, healthcare training, transportation, agriculture, student success services, and positions the College to respond as needed with future expansions to facilities and programs in Oshkosh and Chilton. I ask you to think about advances made in the last 100 years as you learn more about our future plans at http://www.fvtc.edu/referendum. As I look to the future, I wonder how “antique” the technology we are working with today will look in 2112. Which occupations will be seen only in history books and what inventions undreamed today will power our economy then? It’s taken us 100 years to get this far—let’s start the next 100 with a solid foundation. Recently I had the pleasure to speak as a panelist at Leadership Oshkosh, a wonderful program through the Chamber of Commerce that exposes emerging leaders to the vast resources within the community. The program prepares people for leadership roles in their business and in the community. As I looked at these energized and future-focused leaders, I realized these were the best and brightest who are willing to make an investment in the future of Oshkosh. They were clearly interested in helping to create a vibrant, healthy future for the city they call home. It struck me that we share the same goal. FVTC’s Advanced Manufacturing Technology Center in Oshkosh partners with Miller Electric Mfg. Co. to address key industry needs. We opened our Riverside Campus in Oshkosh in the early ‘80s and completely remodeled that facility in the late ‘90s as a result of our last capital referendum in 1998. 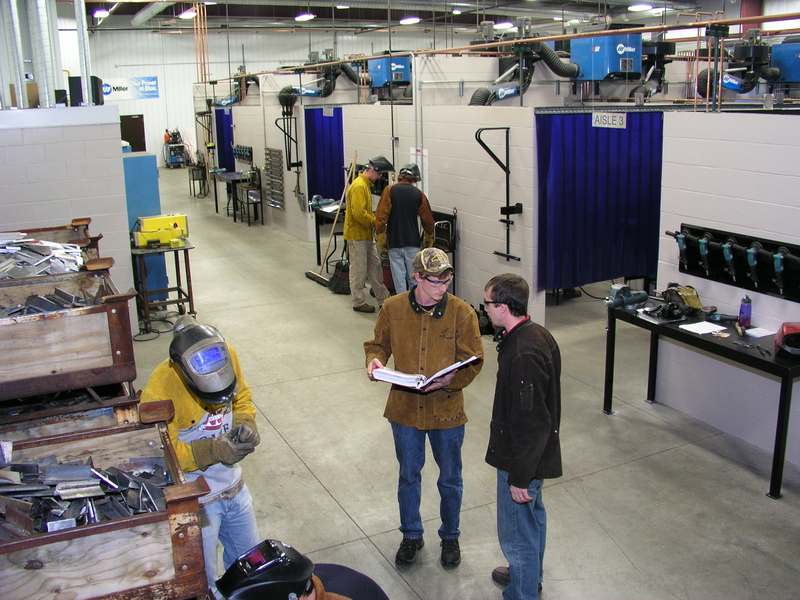 Since 2007, the number of students taking classes at our Oshkosh facilities has grown by 25%. Based on their needs and the needs of Oshkosh area employers, we expanded in programming and technology by opening a new Advanced Manufacturing Technology Center in January of 2011. There, we are able to train both students and working professionals on a wide range of welding applications with state-of-the-art technology thanks to the incredible support and partnership with Miller Electric Mfg. Co. Our third site in Oshkosh is located on Oregon Street and includes the S.J. Spanbauer Center which offers several aviation, construction, and wood manufacturing programs, as well as the FabTECH Education Center that was built in partnership with Fabco and Caterpillar, designed to prepare service technicians for the heavy equipment rental industry all across Wisconsin and Michigan’s UP.